Well-known channelers Geoffrey and Linda Hoppe share the spiritual messages of Adamus Saint-Germain, the ascended master and teacher from the angelic Crimson Council, in Live Your Divinity. Saint-Germain has manifested in many lifetimes, expressing various identities in many adventures on Earth: from a rebellious rabbi in the time of Jesus to Mark Twain. Many believe that Adamus Saint-Germain is here today to teach us about new consciousness and new energy. 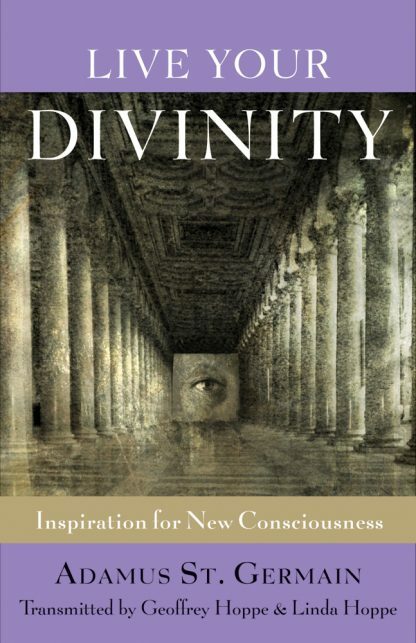 In Live Your Divinity, the wisdom of Adamus comes through loud and clear in the plain-talking voice of Geoffrey Hoppe. Culled from Adamus�s messages given before live audiences around the world, these excerpts relay that, ultimately, personal growth and spiritual development can only be realized through an increased awareness of the very experience the reader is already having on their path of awakening. Live Your Divinity is for those who are waking up and hungry for channeled information from the ascended masters. It reinforces, clarifies, validates, and encourages bringing readers increased awareness as they move through the Awakening Zone. Geoffrey and Linda Hoppe are well-known channelers and founders of the Crimson Circle, an international community of spiritually minded people. Since 1991, they have channeled spiritual wisdom from ascended masters Tobias, Kuthumi Lal Singh, and more recently, Adamus Saint Germain. They conduct workshops, seminars, and conferences around the world, and were included in Tuning In, the popular movie and book about channeling by David Thomas. Visit them at: www.crimsoncircle.com.